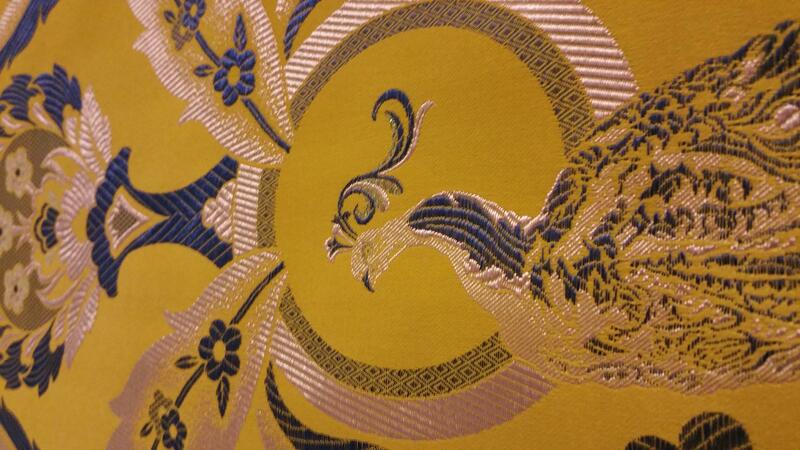 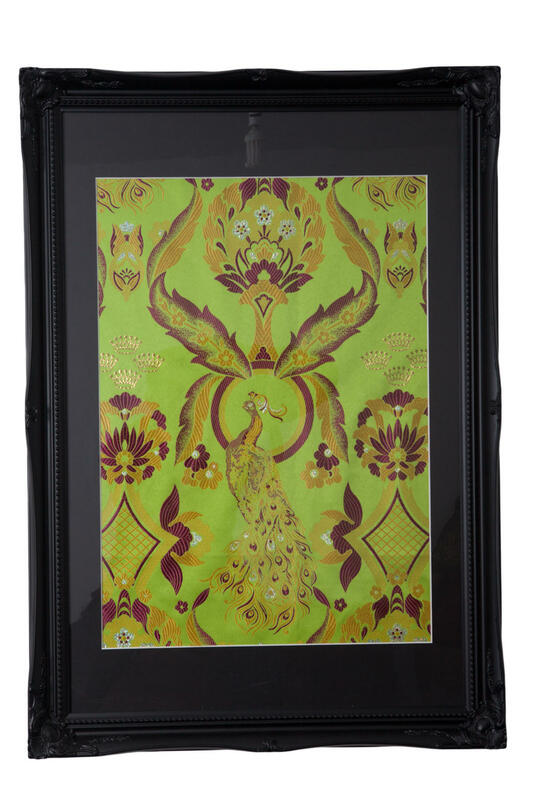 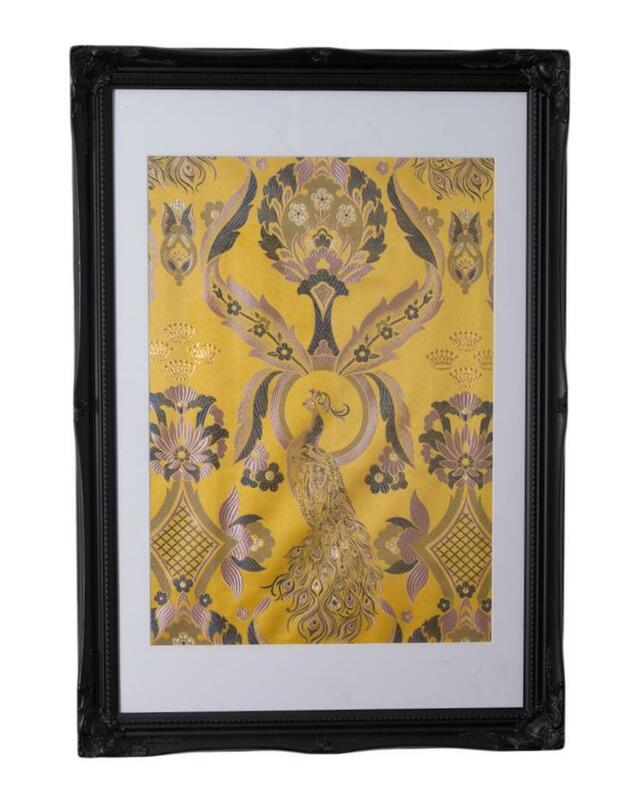 Gorgeous and vivid, this bright peacock patterned silk damask wall art will transform any space instantly. 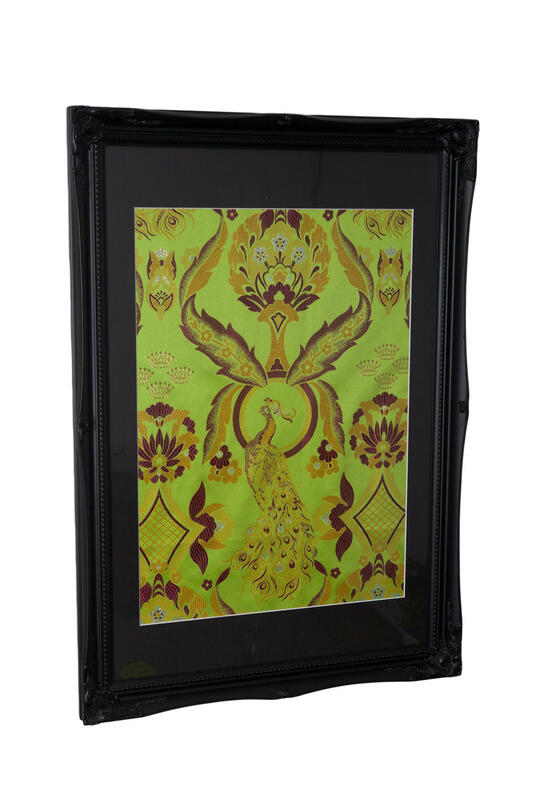 Each frame can be hung individually or together in a grouping for added drama. 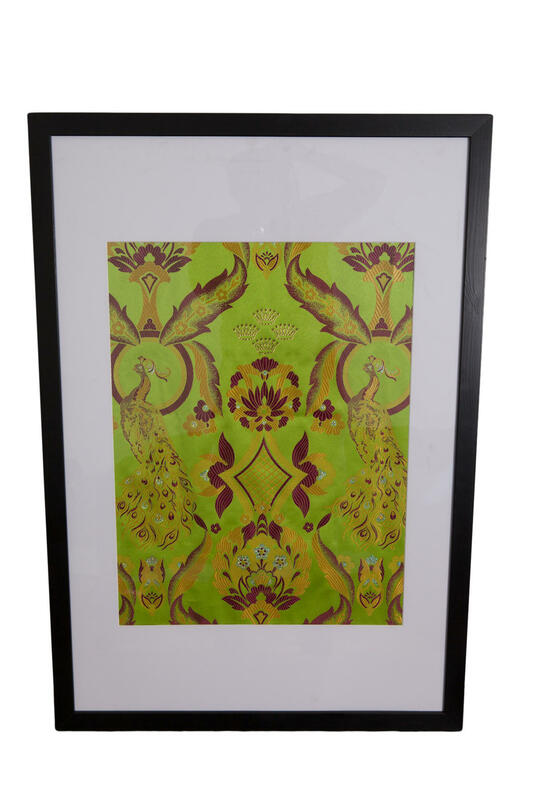 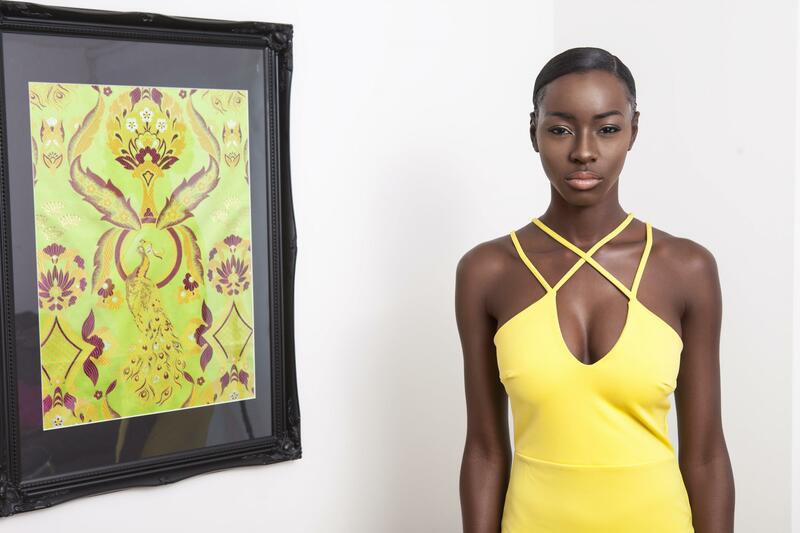 Why not cherry pick between your favourite 2, be it Golden Yellow, lilac and blue or Green and Pink. 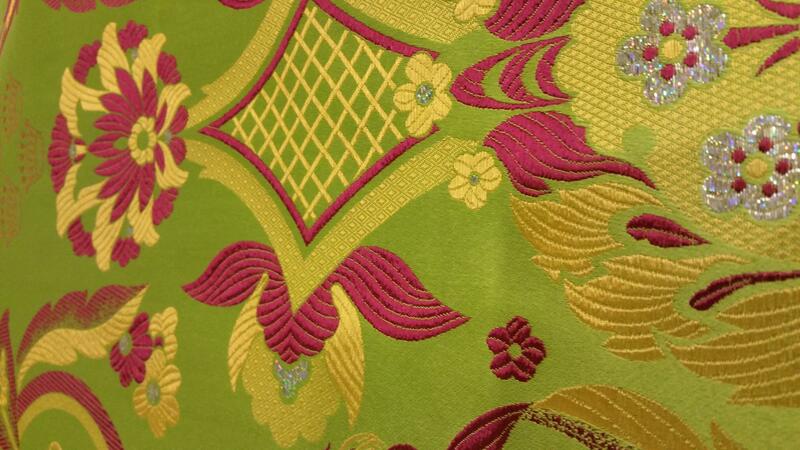 The fabric is also available in red and gold, please email for more details. 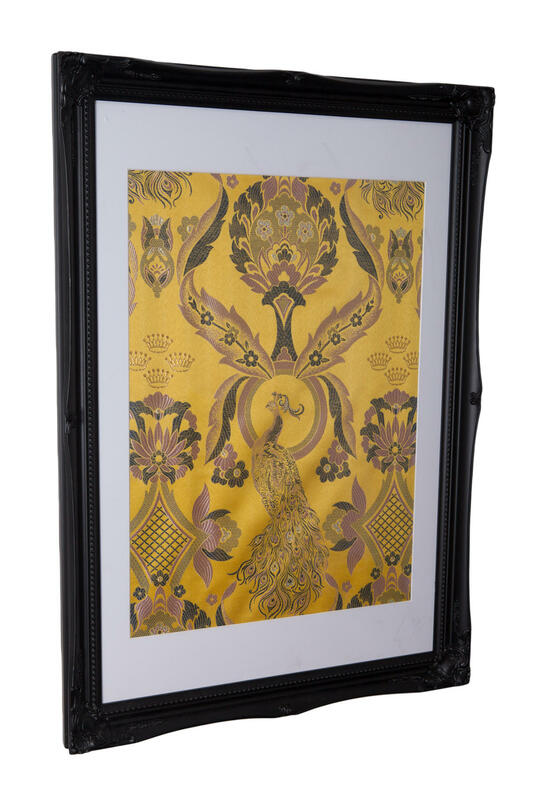 Our decorative wooden frames also come in a choice of 4 other paint finishes, gold, silver, white and cream; please contact us for availability.